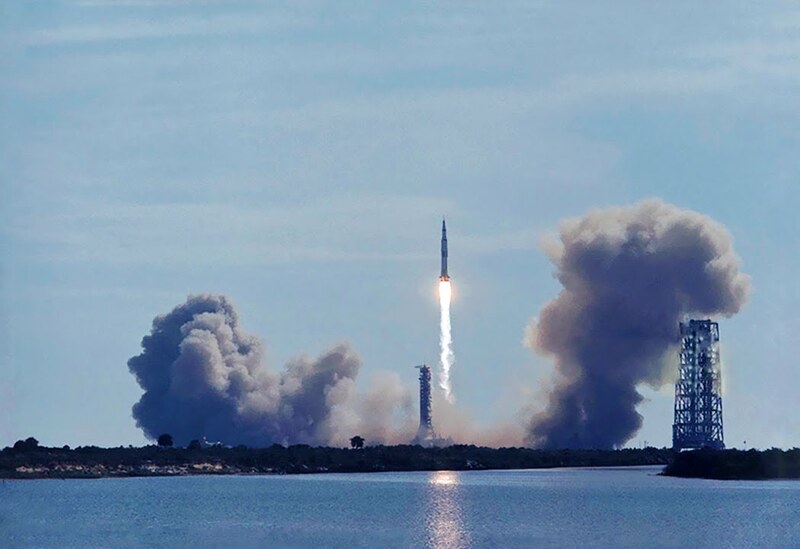 July 16, 1969–A Saturn V rocket boosts the Apollo 11 mission, with Neil Armstrong, Buzz Aldrin, and Michael Collins, on its way to the moon. The lunar module would land on the Sea of Tranquility four days later. This entry was posted in History and tagged Apollo 11, Buzz Aldrin, Michael Collins, NASA, Neil Armstrong, Saturn V. Bookmark the permalink.